Chris grew up in Northeastern Pennsylvania. 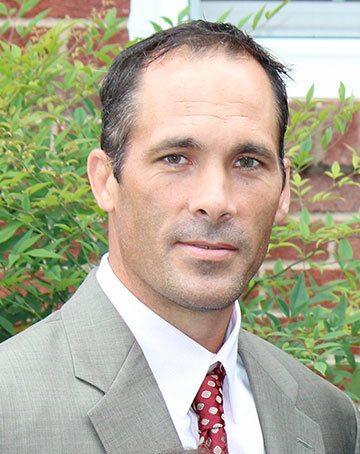 He graduated from Millersville University of PA in 1991 with a Bachelor's Degree in Business Administration. He moved to Florida in early 1992 and has been a resident of SW Orange County ever since. He is married to Tammi, and the couple have two kids, Kody and Baylee. He has spent over 18 years in the sports and entertainment industry as both a professional athlete and a coach. His jobs have included being a Contender on American Gladiators Orlando Live Dinner Show, playing professional Arena Football for teams in Orlando, Miami and elsewhere, and working as a stunt professional on the hit movies "Waterboy" and "Radio." He has also spent 13 years as a professional football coach in the Arena Football League. As a Head Coach, his teams have won numerous Division and Conference Titles. In 2006, Chris guided the expansion Spokane Shock to a 17-2 record and won the af2 Championship. During that same 2006 season, Chris was honored as the Inland Northwest Coach of the Year and the af2 Coach of the Year. Although Chris was introduced to real estate in 1998 when he became a Real Estate Salesperson and later became a Licensed Real Estate Appraiser, he continued with his football endeavors until the Summer of 2013. It was then that he decided to focus on his Real Estate career and joined the team at Lakeside Realty Windermere, Inc. In 2014, his first full year back in Real Estate, Chris was awarded the LRW Rookie of the Year Award. He followed that success up in 2015 with being awarded the ORRA Top Producer Club's Bronze Award, an award given to those Realtors who produce over $3 million in volume. Since joining LRW, Chris has consistently grown his business by becoming a regular multi-million dollar producer. He credits his success in Real Estate to the support and leadership he receives from the Broker/Owners at Lakeside Realty Windermere. He also credits the other team members who constantly provide encouragement and support to one another, which allows this small office to consistently out-perform the competition. Chris is a member of the Orlando Regional Realtors Association, and he has earned the New Home Co Broker Designation. "I am excited to be a member of the team at Lakeside Realty Windermere, Inc. The Realtors here work together to ensure that every client gets the expertise and attention to detail needed when buying or selling real estate."